First the Question: Self righteousness can be a sin far more deadly than murder and adultery. True or False? Question: God helps those that help themselves. True or False? In 2 Cor. 8:19 the Apostle Paul mentions those who were chosen to travel with us with this Grace. Have you ever traveled from Matthew 1:1 through the Four Gospels and from Pentecost to the Apostle Paul’s final statement concerning Grace in 2 Timothy 1:9? It is next to impossible to get religious church ­members to travel with Grace and to sail with Paul. It is true that Abel and Noah and Abraham and Isaac and Jacob and Moses and the children of Israel found Grace in the sight of the LORD, before the law was given at Sinai, that Israel found great Grace during the reign of law, including the several years of the earthly ministry of the LORD Jesus. Surely that penitent thief on the cross found Grace in the sight of the LORD. At the time the Son of God, by the Grace of God, was tasting death for every man (Hebrews 2:9), He prayed for His murderers, “Father, forgive them for they know not what they do.” (Luke 23:34). That was Grace. “For ye know the Grace of our LORD Jesus Christ, that though He was rich, yet for your sakes He became poor, that ye through His poverty might be rich.” (2 Cor. 8:9). When God was willing to forgive Israel’s great sin, the killing of the Prince of Life (Acts 3:12-17), that was indeed great Grace. The “why” is explained in Acts 3:18 and Acts 5:29-32. WHAT ABOUT GRACE BEFORE AND AFTER ISRAEL’S FALL? Note God’s work and Israel’s work in Acts 2:38, “repent and be baptized every one of you in the Name of Jesus Christ, ‘for the remission of sins’, and ye shall receive the gift of the Holy Spirit.” As there was Grace for the fathers, and for Israel before and during the reign of law, there was Grace for Israel in the Gospel of the Kingdom proclaimed before the Apostle Paul was sent forth with the Gospel of Grace to Gentiles. But Grace for sinners under the law and during the years that Peter was using the keys of the kingdom was NOT “The Dispensation of the Grace of God for Gentiles.” (Ephesians 3:1-3). We should note with real interest and enthusiasm the statements in Romans 11:30, Romans 11:12 and Romans 11:15; the truth that the Gentiles obtained special Divine mercy because of Israel’s unbelief, the truth that, because of the diminishing and temporary fall of Israel, God’s special riches were presented to Gentiles. When and because Israel was cast away, God sent the ministry and message of reconciliation to the Gentiles. After the Apostle Paul said, in Acts 13:46, “seeing that you (Israel) put the Word of God from you, and judge yourselves unworthy of everlasting life, lo, we turn to the Gentiles,” after he said to Israel in Acts 18:5-6, “your blood be upon your own heads: I am clean: henceforth I will go unto the Gentiles,” after the terrible judgment of 1 Thessalonians 2:14-16 pronounced upon Israel, God ushered in a new Dispensation, and gradually changed His spiritual program. This program is to be carried on until the fullness of the Gentiles be come in, until the realization of the blessed hope of Titus 2:13. With this change the Apostle Paul was directed to proclaim the truth of 2 Cor. 5:16-21, and then to make known the Divine truth concerning God’s eternal ‘GRACE’ purpose concerning the ‘JOINT‑BODY’ of Ephesians 3:6. Paul was then instructed to write God’s will concerning ‘the Dispensation of the Mystery’; “To make all see what is the Dispensation of the Mystery, which from the beginning of the world, hath been hid in God.” (Ephesians 3:9). Every minister of Christ is expected to be, and should be, a faithful steward of the Mysteries of God. (1 Corinthians 4:1-4). Such a faithful steward should see at a glance the great difference between the Apostle Peter’s ‘Acts 10:34-38’ message to Gentiles, ‘BEFORE THE FALL OF ISRAEL’, and the Apostle Paul’s ‘Romans 4:4-5 message to Gentiles ‘AFTER THE FALL’. Such a minister of Christ should know why the Apostle Paul never preached the Apostle Peter’s ‘Acts 2:38’ message to Gentiles in the LORD’s ‘Grace’ program. If you will compare Acts 2:38, preached to Israel on the day of Pentecost ‘BEFORE ISRAEL’S FALL’, with Titus 3:5-8, ‘AFTER THE FALL’, you should see that there is almost as much difference as there is between Law and Grace. However it is extremely difficult to understand why unsaved and saved religious church-members are determined to ignore or to limit the Grace of God. In their religious lives many of them have adopted the slogan and program of “do it yourself.”, or “God helps those that help themselves”. First the Question: God helps those that help themselves. True or False? Question: In the Gospel of John the word Grace is found exactly 24 times. True or False? In the 39 Books from Genesis to Malachi, God’s Grace for the human race is mentioned in about twelve chapters; in most of them once only. God certainly manifested His Grace toward Abel and Enoch and Noah and Shem. In several chapters of Genesis, beginning with Genesis 12:1 we learn that God’s Grace did wonders for Abraham. God manifested His Grace to Israel under the law, in His provision for their blessings received at the blood­ sprinkled mercy seat. In a very limited sense in the Old Testament God’s Grace was shown toward the Gentiles, who were aliens from the commonwealth of Israel. According to the Divine Record, a few Gentiles, a very few, received blessings from the LORD Jesus while He was on earth, sent only unto Israel. (Matthew 15:21-28). Certainly the LORD Jesus manifested His Grace to Israel, both before and after His death and resurrection, especially in Acts 3:12-21 and Luke 23:34 and Acts 3:26. However it is of interest and significance to note that there are about 2900 verses in Matthew, Mark and Luke and the word ‘GRACE’ in the sinner’s salvation is not once mentioned. In the Gospel of John the word ‘Grace’ is found four times. But when we read in John 1:17, that Grace and truth came by Jesus Christ, or in John 1:14, that Christ was full of Grace and truth, or in John 1:16, “of His fullness have all we received, and Grace upon Grace,” we are not to understand that “the Dispensation of the Grace of God for Gentiles,” mentioned in Ephesians 3:1-3, began with the ministry of Jesus of Nazareth in the land of the Jews. (Acts 2:22, Acts 10:36-39, Matthew 15:24). The LORD Jesus on earth was God’s Minister of Israel. (Acts 13:23, Romans 15:8). He was made under the law. (Galatians 4:4). But though the Son of God was born and lived and ministered under the LAW COVENANT, He proclaimed much truth pertaining to the New Covenant, and He certainly manifested the abounding Grace of God in dealing with transgressors of the law. As we have no one English word giving us the full meaning of the word ‘Grace’, we cannot explain in one short sentence, or even in two long sentences, the full meaning of ‘the Gospel of Grace’. Blessed indeed is the person who knows that the Gospel (good news) by which any kind of a believing sinner can be saved is the truth that Christ died for our sins, that He was buried, and that He rose the third day, and, knowing this wonderful truth, he has believed unto the saving of his soul. However, there is something more to ‘the Mystery of the Gospel’ of Ephesians 6:19-20 than the saving Gospel recorded in 1 Corinthians 15:1-4. If you will read and study the thirteen chapters of 2 Corinthians and note the word ‘GRACE’ thirteen times in that Epistle, you will say that the members of the assembly in Corinth certainly needed abounding Grace, and you will understand why the Apostle Paul exhorted them in 2 Cor. 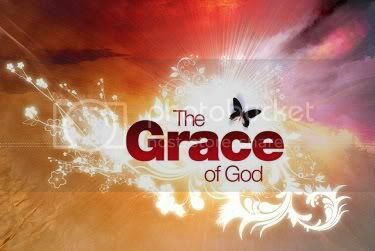 6:1, “that ye receive not the Grace of God in vain.” In Ephesians, counting the verb form of the word ‘Grace’ in Ephesians 1:7, the word ‘Grace’ likewise is found thirteen times. Ephesians is very much a ‘GRACE’ Epistle. To be prepared for the ‘ALL’ ‘GRACE’ message in Ephesians and 2 Timothy, the saints of God should read the Epistles to the Romans and to the Galatians several hundred times and then diligently study the Epistles under the guidance of the Holy Spirit, marking the word ‘Grace’ found 24 times in Romans; “this ‘Grace wherein we stand.’ (Romans 5:2). ‘Grace’ in Galatians seven times. It is most interesting to note that in the Apostle Paul’s oral ministry recorded in the Book of Acts, and in His Epistles, we find the word ‘GRACE’ 105 times. Compare this with the ABSENSE of the word in the gospels (Matthew, Mark and Luke), and with ‘Grace’, in about only twelve chapters in all 39 Books from Genesis to Malachi. Most interesting is Moses’ conversation with the LORD concerning ‘GRACE’ in Exodus 33:12-23. Read this chapter. First the Question: In the Gospel of John the word Grace is found exactly 24 times. True or False? Question: The Pentecost message of the Apostle Peter was the Gospel of the Grace of God for Gentiles. True or False? In Genesis 6:8, we read, “BUT Noah found Grace in the eyes of the LORD.” If you will read the verses immediately preceding Genesis 6:8, you will catch more of the significance of the word ‘BUT’. “The wickedness of man was great on the earth”, “every imagination of the thoughts of his heart was only evil continually.” “The LORD said, “I will destroy man whom I have created.” God gave those who lived in the days of Noah fair warning of the awful judgment that was awaiting them. His warning went unheeded. Saving Grace was available. Noah found that Grace. This present age and dispensation of Grace will end very suddenly. Then, according to the declaration of the LORD Jesus Christ, “as it was in the days of Noah, so shall it be in the days of the Son of Man.” (Luke 17:26). 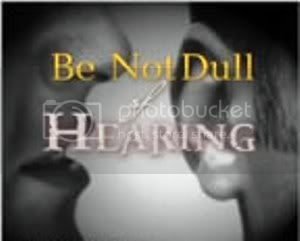 The human heart is desperately wicked and deceitful, as God has stated in His Book. (Jeremiah 17:9.) In this age of rationalism and materialism and satanic counterfeit religions the spirit of apathetic indifference, with respect to salvation from the wrath of God, seems to be in control of the great majority of the children of Adam. This age is rightly described, in Galatians 1:4, as “this present evil age.” Satan, the great deceiver, is truly ‘the god of this age’. In the midst of the present day disgraceful ‘sectarianism’, ‘ritualism’, ‘modernism’ and ‘fanaticism’, many religious church members, and millions of sinners not in the churches, willfully and intentionally reject God’s ‘Grace’ salvation. The religious people, who want the Jesus they preach to be a HELPER instead of a Savior, want to feel that they really deserve and earn God’s favor by practicing the ethics of Jesus. They belong to the “DO IT YOURSELF” Society. They of course must think that the Apostle Paul taught error when he taught, “Not by works of righteousness which we have done, but according, to God’s mercy He saved us by the washing of regeneration…being justified by God’s Grace.” (Titus 3:5-8). They prefer to earn forgiveness of sins, by their work of forgiving others, according to Matthew 6:14-15 and Matthew 18:34-35, rather than to believe and accept the truth of Colossians 2:13 and Ephesians 4:32, and know that by the Gospel of Grace the believer has all of His sins forgiven, for Christ’s sake. The “ritualists”, and ‘back to Pentecost’ religious church members, prefer the message of John the Baptist and the message of the Apostle Peter to Israel on the day of Pentecost, “baptism unto repentance for the remission of sins,” to the Grace Gospel which we quoted from Titus 3:5-8. When Peter and the Eleven preached the Kingdom Gospel to Israel on the day of Pentecost the risen LORD had not yet revealed His Grace Gospel for Gentiles when and because of the temporary FALL of Israel. (Romans 11:11). The Apostle Peter’s Pentecost message was NOT ‘the Gospel of the Grace of God’ for Gentiles. First the Question: The Pentecost message of the Apostle Peter was the Gospel of the Grace of God for Gentiles. True or False? Question: The Gospel, which the Apostle Paul called MY GOSPEL, Romans 2:16, is called the Gospel of Glory. True or False? Perhaps every saved person really needs to receive the Spirit of wisdom and revelation, to have the eyes of his understanding so enlightened (Ephesians 1:15-17) that he can understand the meaning of “the Dispensation of Grace” of Ephesians 3:1-3, called “the Dispensation of the Mystery” in Ephesians 3:9. The Greek word translated ‘Dispensation’ is, in Luke 16:2, ‘stewardship’. The apostle Paul was the LORD’s steward. He was Christ’s faithful steward of the Mysteries of God. (1 Corinthians 4:1-4). Every minister of Christ should be. The Apostle Paul testified, in 1 Corinthians 9:17, “a stewardship is committed unto me.” As we read Paul’s testimony in 1 Corinthians 3:10, we must surely believe that, so far as the Grace Gospel and Dispensation for Gentiles is concerned, Paul was Christ’s ‘chief steward’. He magnified his office as the apostle to the Gentiles. (Romans 11:13, 1 Timothy 2:7, 2 Timothy 1:11). God called the Apostle Paul, by His Grace, to reveal His Son in Paul, that Paul might preach Him among the Gentiles. (Galatians 1:15-16). In 2 Timothy 1:12, the Apostle Paul spoke of his ‘deposit’. Paul suffered as an evil‑doer in jail, for Christ and the Gentiles. (Ephesians 3:1, Ephesians 6:19-20, 2 Timothy 2:8-9, and Colossians 4:3-4). Note why, in 2 Corinthians 12:4-11, God permitted Paul to suffer with a thorn in the flesh, “lest I should be exalted above measure, through the abundance of revelations.” Little wonder that Paul testified that he was less than the least of all saints, so that he might by the Grace given to him preach the unsearchable riches of Christ among the Gentiles. (Ephesians 3:8). 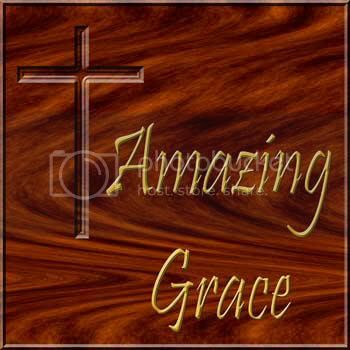 In Titus 2:11 we read that the Grace of God that bringeth salvation hath appeared to all men. When did the Grace of God appear to all men? Did not the Grace of God appear to men years, even centuries, before the Apostle Paul testified (some twenty-five years after the death of Christ), “that I might finish my course with joy, and the ministry which I have received of the LORD Jesus, to testify, ‘the Gospel of the Grace of God’?” (Acts 20:24). It was by a special revelation from the RISEN, Glorified Christ that the Apostle Paul received the ‘Grace’ Gospel and ‘the Dispensation of the Grace of God’. Galatians 1:11-12 and Ephesians 3:1-3. In 1 Timothy 1:11-14 we have another testimony from the pen and heart of Paul, “according to the glorious Gospel of the blessed God, which was committed to my trust” “Christ Jesus counted me faithful, putting me into the ministry.”, “and the Grace of our LORD was exceeding abundant.” Also in 2 Cor. 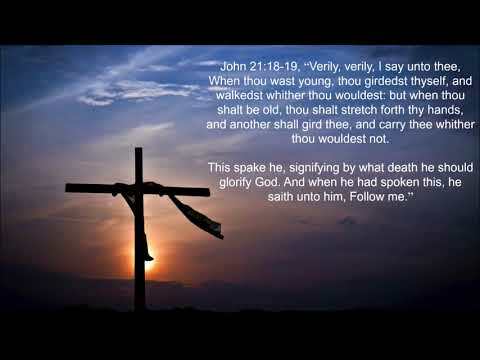 4:4 the Gospel, which the Apostle Paul called ‘MY GOSPEL’ (Romans 2:16) , is called the Gospel of Glory. (Romans 16:25). Thus we see that the RISEN, Glorified Christ, by very special revelations, sent the Apostle Paul forth with ‘the Gospel of Grace’, ‘the Gospel of Glory’. As we compare the ministry of the Apostle Peter and the Eleven in the Book of Acts with that of the Apostle Paul, we find some real DIFFERENCES between the Gospel which the Twelve preached and the Gospel of Grace which Paul preached to the Gentiles. However some years later it was the apostle Peter who called God, “THE GOD OF ALL GRACE.” (1 Peter 5:10). It was the apostle Peter who wrote that Christ’s servants are stewards of the manifold Grace of God, who wrote of the ‘TRUE GRACE’ wherein ye stand. (1 Peter 4:10, and 1 Peter 5:12). “Heirs together of ‘the Grace of life’.” (1 Peter 3:7). In Psalm 84:11 we read, “the LORD will give Grace and glory; no good thing will He withhold from them that walk uprightly.” In Proverbs 3:34 we read that the LORD giveth Grace unto the lowly. This is confirmed in James 4:6 and in 1 Peter 5:5. In referring to God’s chosen nation, Israel, their past and future, we read, in Jeremiah 31:2, “the people, which were left of the sword, ‘found Grace in the wilderness’.” Surely Divine Grace was needed, and will again be needed ‘in the wilderness’. What about the present day wilderness? With the very large majority of human beings today, God’s Grace is not only unused, but it is unwanted. Thousands upon thousands of religious church members prefer their religious doings to the ‘much more’, ‘over-abounding’ Grace of the God of all Grace. Lost religious sinners and other lost sinners obviously are not counting the cost, the folly and tragedy of despising or rejecting God’s saving Grace. Here is God’s word to these foolish, condemned children of Adam, “it is a fearful thing to fall into the hands of the living God: for we know Him that hath said,” “Vengeance belongeth unto Me, I will recompense, saith the LORD.” (Hebrews 10:28-33). First the Question: The Gospel, which the Apostle Paul called MY GOSPEL, Romans 2:16, is called the Gospel of Glory. True or False? Question: There is no lack of Grace and no lack of spiritual blessings, the lack is on the part of the believer. True or False? Surely every rational, thinking person knows that sin is abounding. To be always conscious of this truth, God would have every member of the human race to think of Romans 5:20, and measure the faults and failures of the children of Adam by the commands of God in the ten commandments, knowing that sin is the transgression of the law. 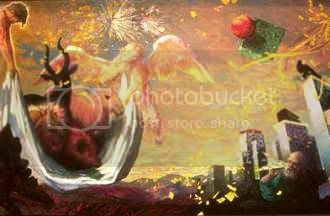 The law was given at Sinai, that the sin that entered by Adam in Eden might abound. “By the law is the knowledge of sin” and all the world is guilty before God. (Romans 3:19-20). But again hear the good news in the last part of Romans 5:20, “Where sin abounded, Grace did ‘MUCH MORE’ ‘OVERABOUND’.” The guiltiest, vilest sinner can find God’s saving, redeeming, abounding Grace altogether sufficient to save him, to justify him and to keep him. The moral, upright, sincere, religious unsaved “church‑member” needs this same Grace. While the redeemed, justified sinner is being kept by the Grace and power of God, he should be careful to maintain good works (Titus 3:8), he should always abound in the work of the LORD, by the Grace of God. “God is able to make all Grace abound toward you; that ye, always having all sufficiency, in all things, may abound to every good work.” (2 Cor. 9:8). As the best works of the most moral, religious, conscientious, sincere ‘Christ-rejecting’ person are not acceptable to God, even so with most of these respectable unbelievers God’s Divine Grace is not acceptable. Like Israel in Romans 10:1-4, they, being ignorant of God’s righteousness, go about trying to establish their own righteousness, refusing to submit themselves unto the righteousness of God which is by the Faith in Christ Jesus. As we again ask the question concerning the ‘all Grace’ of 2 Cor. 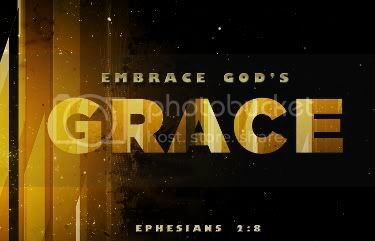 9:8, which God is able to make abound, so that believers saved by that all sufficient Grace, might abound in good works, “how much Grace is all Grace,” let us try earnestly to comprehend the full meaning of Ephesians 1:3, that believers are blessed with all spiritual blessings in the Heavenlies. There is no lack of Grace and no lack of spiritual blessings. The lack is on the believer’s part; lack of appropriating faith; lack of a real desire and willingness to claim the Grace and blessings. Of course, and which is the case most of the time, there might be a lack of spiritual ‘know-how’. Thus we have learned that almighty God has made available for those who are His children, by the Faith in the LORD Jesus Christ, His unlimited power and His unlimited Grace, and that He has blessed them with all spiritual blessings in the Heavenlies. As we think of Romans 5:20, studied with Ephesians 3:1-3, very special Grace for Gentiles, let us prayerfully and carefully consider some other Scriptures describing the awful spiritual condition, the terrible, sinful state of the Gentiles from the time that the Apostle Paul said, in Acts 13:46, “lo, we turn to the Gentiles,” until he wrote in his farewell message concerning God’s eternal ‘GRACE’ purpose, and then added, “whereunto I am appointed a preacher, and an apostle, and a teacher of the Gentiles.” (2 Timothy 1:9-11). In this study and consideration, we shall certainly learn why those ruined Gentiles needed the ‘all sufficient’ Grace, the ‘over‑abounding’ Grace, the ‘much more’, ‘over‑abounding’ Grace of the God of all Grace. 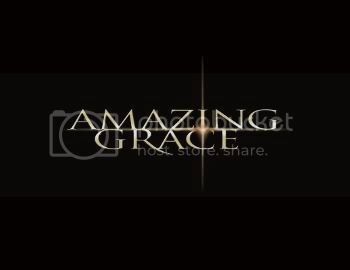 This is likewise the greatest need of every member of the human race in this year 2009 A.D.
Look again at Romans 5:20, “where sin abounded Grace did much more over‑abound.” Now Ephesians 3:1-3. “I, Paul, the prisoner of Jesus Christ for you Gentiles; if ye have heard of the ‘DISPENSATION OF THE GRACE OF GOD’, which is given me to you­ward…by revelation.” Now look at Galatians 1:11-12, that the ‘GRACE’ Gospel was given to the Apostle Paul by the direct revelation of the RISEN LORD Jesus Christ; NOT in the great commissions of Matthew 28:19-20 and Mark 16:14-16. Surely we see that those first century Gentiles needed the ‘much more’ ‘overabounding’ Grace of the God of all Grace. How about you? I needed it as much as they did! My testimony is Ephesians 1:6-7 and Galatians 6:14. First the Question: There is no lack of Grace and no lack of spiritual blessings, the lack is on the part of the believer. True or False? Question: There is NO difference between being moral and religious, AND, being righteous and spiritual. True or False? “The Gentiles, which followed not after righteousness, have attained to righteousness, the righteousness which is of faith.” “Israel did not attain; because they sought it not by faith.” “They stumbled.” (Romans 9:29-33). Then Paul added, about 60 A. D., “There is a remnant according to the election of Grace. If it is by Grace, it is no more of works.” (Romans 11:5-6). We are told in Psalm 14:2-3 that, during the reign of LAW, God looked down from heaven to see if there was on earth a just man who did not sin. (Ecclesiastes 7:20). He found not one. Some years later He looked down from heaven upon His holy, sinless, Son, saying, “this is My Beloved Son, in Whom I am well pleased.” (Matthew 17:5). This Beloved Son truly said, “I do always the things which please My Father.” (John 8:29). “Which one of you convinceth Me of sin?” (John 8:46). This Son, Who was conceived by the Holy Spirit, born of the Virgin Mary, was holy, harmless, undefiled and separate from sinners. (Hebrews 7:26). On the cross of Calvary this sinless Son was made sin, that believing sinners might be made the righteousness of God in Him. (2 Cor. 5:21). What does an unrighteous sinner have to do to be ‘in Christ’ and receive the righteousness of God? Here’s the answer: Receive Christ and God’s righteousness and eternal life by faith. Salvation, righteousness, and eternal life are all the gifts of God, “not of works, lest any man should boast.” (Ephesians 2:8-9, Romans 6:23, and Romans 5:17-21). Only the ‘righteousness of God’ will admit a human into heaven. Any and every human may have the ‘righteousness of God’, by Grace through faith in the LORD Jesus Christ and His perfect work of redemption. In these ‘Grace’ and ‘justification’ (‘righteousness’) Scriptures, which we have quoted, the Holy Spirit has presented the most wonderful truth that has ever been proclaimed to condemned, ruined, lost sinners, all of whom are absolutely helpless and hopeless without justification by Grace through the Faith in God’s beloved Son and His perfect redemptive work. God kept His religious Nation (Israel) shut up under the law for about fifteen centuries to teach them and the rest of the human race that the Law was added that sin might abound (Romans 5:20); that the Law was Israel’s schoolmaster to bring Israel to Christ that they might be justified by the Faith in Christ (Galatians 3:24); that Christ died on the cross to deliver Israel from the curse of the Law. (Galatians 3:13). In Romans 4:4 we have learned that no person, however religious or conscientious and sincere, can work his way into God’s Grace or attain unto righteousness by good works. We are told in Romans 10:10, “with the heart man believeth unto righteousness.”, “It is God that justifieth”, “It is Christ that died, yea that is risen again.” (Romans 8:33-34) We read in Romans 4:6 of the blessedness (happiness) of the man to whom the LORD imputeth righteousness without works. “To him that worketh not, but believeth in Him that justifieth the ungodly, his faith is counted for righteousness.” (Romans 4:5). In Romans 5:6-9 we read that Christ died for the ungodly; that the ungodly, who believe, are justified by Christ’s blood. In Ephesians 1:6-7 we learned that the ungodly, who believe are ‘Graced’ “in Christ, in Whom they have redemption through His blood, the forgiveness of sins, according to the riches of God’s Grace”. In Romans 3:24-28 we learned that believers are justified freely by God’s Grace through the Faith in the redemptive work of the LORD Jesus, Who, on the cross, became the propitiation for the sins of the whole world. (1 John 2:2). The justified believer is “God’s workmanship, created in Christ Jesus.” (Ephesians 2:10). “Whom God called, them He also justified And whom He justified them He also glorified.” (Romans 8:30). The justified believer, who is justified by God’s Grace and by the Faith in the shed blood of the LORD Jesus Christ, God’s workmanship, is created in Christ Jesus ‘UNTO GOOD WORKS’. (Ephesians 2:10). The believer’s faith is counted for righteousness. The righteousness of God is imputed to the believing sinner who meets God at Calvary and by the Faith receives Christ as his Savior and his righteousness. Christ is the believer’s righteousness. (1 Corinthians 1:30). The sinner, who does not receive the righteousness of God before he leaves this world, will not be rewarded for his good deeds, but will be eternally lost because of his evil deeds and his unbelief. (Ezekiel 33:13, Revelation 20:13-15, John 3:36, John 3:16-19, Romans 2:3-11). Then read Revelation 21:8. “Sin hath reigned unto death.”, “Even so Grace reigns through righteousness unto eternal life by Jesus Christ our LORD.” (Romans 5:21). God does not approve or reward the good works of any person who is not alive from the dead. The self‑righteous, moral, conscientious religious, church going, Christ‑rejecting, unbeliever, abounding in good works, is just as dead in God’s sight as is the wicked unbeliever who abounds in evil works. There is a great difference between being moral and religious, and being righteous and spiritual. Apart from God’s Grace and Christ’s work on the cross, “there is none righteous; not one” and no child of Adam is alive from the dead. First the Question: There is NO difference between being moral and religious, AND, being righteous and spiritual. True or False? Question: God divided Israel, in the days of the Apostle Paul, into two groups. True or False? The Apostle Paul, who was directed by the Holy Spirit to say so much about the Grace of the God of all Grace, said something that no living saint will say at this time, “The GRACE which was bestowed upon me was not in vain; but I labored more abundantly than they all; yet not I, but the Grace of God which was with me.” (1 Corinthians 15:10). 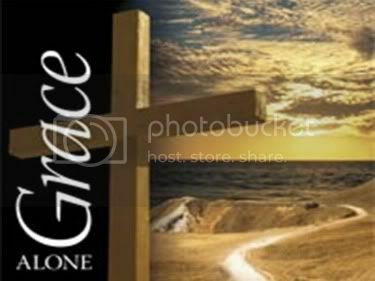 According to 1 Peter 5:10, the God of the Bible is called “THE GOD OF ALL GRACE.” According to 2 Cor. 9:8, “God is able to make ‘ALL GRACE’ abound toward you (saints), that ye always having ‘ALL SUFFICIENCY’ in all things, may abound to every good work.” God’s saints are expected to do good works, to be steadfast, unmovable, ‘ALWAYS ABOUNDING’ in the work of the LORD. (1 Corinthians 15:58). Well might we ask, “how much Grace is all Grace?” God is the God of ALL Grace; and all Grace is available for each and every saint. Every person, who is a saint, is a saint by God’s Grace. This means that every saved person on this earth is “saved by Grace through faith, and that not of yourselves; the gift of God; not of works, lest any man should boast.” (Ephesians 2:8-9). No unsaved person is required by God to work for His Grace or for eternal salvation during this present age and dispensation of Grace. “The Grace of God that bringeth salvation hath appeared to all men.” (Titus 2:11). Note when the eternal omniscient God of all Grace purposed this universal Grace (but NOT uni­versal salvation), and just how it appeared, “God, Who hath saved us and called us with a Holy Calling, NOT according to our works, but according to His own purpose and Grace which was given us in Christ Jesus before the world began; but is now made manifest by the appearing of our Savior Jesus Christ, Who hath abolished death, and hath brought life and immortality to light through the Gospel.” (2 Timothy 1:9-10). Concerning LAW and GRACE, we read in John 1:17 and Romans 5:20-21, “The LAW was given by Moses; GRACE and truth came by Jesus Christ”. “Moreover the LAW entered (which naturally means it must exit) that sin might abound: But where sin abounded GRACE did ‘much more’ ‘over abound’; that as sin hath reigned unto death, so might ‘GRACE’ reign through righteousness unto eternal life by Jesus Christ our LORD.” With John 1:17 we should read also John 1:16: “Of His (Christ’s) fullness have all we received and ‘GRACE UPON GRACE’.” Grace upon Grace is Grace a plenty! If you were given supernatural power for a short period of time to behold and perceive all of the wicked thoughts, words and deeds of the more than two billion people living now in so called Christendom and in all the heathen countries, you would know more of the meaning of abounding sin. But where sin abounded Grace did, and doth, much more over abound. This means that the vilest of the vile, the most wicked person on this earth, and all other members of the human race, ranging from the most moral, benevolent, sincere, conscientious, zealous, religious person to the most wicked, can find God’s saving Grace altogether sufficient to transform either the self‑righteous, respectable sinner or the wicked unrighteous criminal into a saint, without any good works or religious doings on the part of any of them. Salvation is the gift of God. “The free gift of God is eternal life through Jesus Christ our LORD.” (Romans 6:23). Righteousness is the gift of God’s Grace. How can a child of Adam be cleansed of his sins? How can he become a righteous person? The religions of the world, including the RELIGION of “Christianity”, have offered thousands of substitute speculations and false hopes; have been led by Satan, the god of this age, to invent a multitude of futile religious schemes to atone for sin and make the sinner fit for some kind of existence after death. As we read Galatians 2:11-15 and see how the Apostle Peter was caused by religious brethren to compromise, we should listen attentively to the Apostle Paul’s words to Peter in Galatians 2:16, which is indeed the answer to a part of Job’s question, “How can a man be just with God?” Until we know the truth of Galatians 2:16, we cannot expect to understand the truth about ‘all’ Grace in Paul’s Epistle to the Ephesians. Surely Peter had known this great truth. Had he forgotten it? Did religious brethren put so much pressure on him that he forgot the truth which once he knew? This is wonderful news, good news for the human race. Accept it at full face value. Believe it with all your heart. The foolish Galatians turned against the Apostle Paul when he tried to keep them from falling from Grace. (Galatians 5:1-4). If you proclaim God’s ‘all Grace’ message today, you may get into trouble with religious church members, but you will stand well with the LORD. The Epistle to the Galatians should have been addressed, “To the FOOLISH GALATIANS.” (Galatians 3:1). ‘TROUBLERS’ had made them ‘foolish’. (Galatians 5:12; Acts 15:24). They troubled them by perverting the Grace message which The Apostle Paul received by direct revelation from the RISEN Christ. (Galatians 1:11-13). 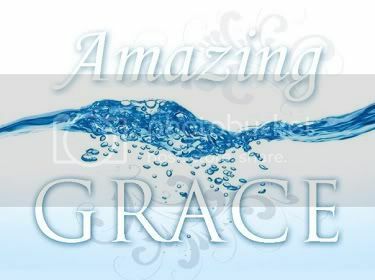 The God of all Grace will most definitely judge every religious messenger who frustrates the Grace of God and perverts the Gospel of Grace by bringing over Israel’s Old Testament sacraments and religious doings (including water baptism) into this present age and dispensation of Grace. Paul was directed to write: “I would that they were even cut off who trouble you.” (Galatians 5:12). Christians are not under the law, but under Grace. (Galatians 3:25; Romans 6:14). The religious, self‑righteous, law keepers of the Apostle Paul’s day hated him for preaching Acts 13:39, “by Jesus Christ all who believe are justified from all things, from which ye could not be justified by the law of Moses.” When he said, “Lo, we turn to the Gentiles” (Acts 13:46), and preached to them justification by Grace through the Faith in the perfect redemptive work of the LORD Jesus Christ, the religious law keepers stoned him until they thought he was dead. (Acts 14:19-21). And these same types would do the same today to the Gospel of Grace Preacher if they could. Several years later the LORD directed the Apostle Paul to write concerning the ‘elect’ and the ‘rest’ of the religious self‑righteous law keepers. The ‘elect’ found the righteousness they sought; but the rest were blinded. Thus God divided Israel in Paul’s day into two groups. “The Gentiles, which followed not after righteousness, have attained to righteousness, the righteousness which is of faith.” “Israel did not attain; because they sought it not by faith.” “They stumbled.” (Romans 9:29-33). Then Paul added, about 60 A. D., “There is a remnant according to the election of Grace. If it is by Grace, it is no more of works.” (Romans 11:5-6). First the Question: God divided Israel, in the days of the Apostle Paul, into two groups. True or False? Question: There is only ONE case of apostolic succession in The Bible. True or False? The true Church of God at Rome in the first century believed in God’s truth in the Epistle to the Romans, BUT the Roman Catholic Church has drifted FAR AWAY from the Gospel of Grace contained in that Epistle. Well, what has this to do with Simon Peter? He has been accused of having something to do with the establishment of the present Church of Rome. Their claim is, that the papal authority has been handed down from Peter and that the present pope, Benedict, is on St. Peter’s throne by the process of apostolic succession. The “holy see” is the seat of Peter, the first bishop of Rome. There is only ONE case of apostolic succession in the Bible; Matthias succeeded Judas. Acts 1:21-26. Certainly the Apostle Peter had no God given authority over the Gentile churches. Therefore, it is not Scriptural to say that the Apostle Paul succeeded Peter in authority. But it IS Scriptural to say that, Paul received from the RISEN Christ in Heaven, a commission, a message, a ministry that superseded the message and ministry committed unto Peter by Christ. Paul received his authority from Heaven WITHOUT conferring with those who were Apostles before him. Galatians 1:12-17. Both Peter and Paul had their Christ given authority and ministry. Each of them faithfully performed his duty. Peter is not mentioned in the Book of Acts after Acts 15. Paul, however, is mentioned more than one hundred times. As Kingdom truth wanes and Body of Christ truth is gradually revealed, Peter is withdrawn from the prominent place and Paul becomes the outstanding servant of Christ. If we had to depend upon the messages of Peter for Body of Christ truth, our knowledge of that truth would be indeed limited. We may rest assured therefore, if the LORD did not reveal Church truth through Peter, He certainly is not building His Church, His Body, upon Peter. And we may also rest assured that when Peter shall occupy one of the twelve thrones, judging Israel in the coming Kingdom age, The Apostle Paul will NOT be there. Paul was the Church Apostle. Peter was God’s Kingdom messenger to Israel. To Peter were committed the Keys of the Kingdom of Heaven. The Mystery of the Body of Christ and the Keys of the Kingdom are by no means the same. This brings us to consider these questions; just how or when did Peter and the eleven use the keys and what relation did the twelve apostles sustain to or in the Body of Christ? After His resurrection Christ appeared to His apostles and said “Whosesoever sins ye remit, they are remitted unto them; and whosesoever sins ye retain, they are retained.” John 20:23. This authority was not given to the Apostle Peter alone but to all of the disciples. They constituted the Church in embryo. Christ is working through His Body today to remit sins and loose on earth. The disciples of Christ plant and water so that God will give the increase. “How then shall they call on Him in whom they have not believed? And how shall they believe in Him of whom they have not heard? And how shall they hear without a preacher?” Romans 10:14. “To Him (Jesus) all the prophets witness, that through His Name, whosoever believeth on Him shall receive remission of sins.” See how the Apostle Peter forgave sins? He preached Christ as the sin-bearer. It was Peter who wrote concerning this sin-bearer, “Who His own self bare our sins in His own body on the tree.” 1 Peter 2:24. “Whosoever believeth on Him”, said Peter, “shall receive remission of sins.” See how Peter remitted sins? The Apostle Paul did it in the same way. Acts 13:39. A 12 year old Christian boy or girl can do it in the same way. It is the LORD Jesus Christ who is to grant forgiveness of sins. Acts 5:31. The Apostle Peter declares that Christ is the Stone upon which the Church is built. Acts 4:11, 1 Peter 2:7. To Simon, Christ said, “Thou art Peter and upon this Petra I will build my Church” Matthew 16:17. The Church, the Body of Christ, is NOT built upon Peter; BUT upon CHRIST! Whosoever will make Simon’s confession will immediately become a member of Christ’s Body...Without holy water or any other religious rite. Keep this in mind always...The Church is not the door to Christ and salvation...CHRIST IS THE DOOR! He who has Christ has salvation, and not religion. He is in the true Church, the One Body, of which Christ in Heaven is the One and only Head. Then the Apostle Paul withstood the Apostle Peter to the face, because he was to be blamed. Galatians 2:11-14. But like Jacob, the clever, scheming, intensely human, selfish servant of God who finally became the gentle, unselfish, righteous Israel, in his old age...so the Apostle Peter came to the place of real victory, as the calm gentle, lovable, writer of two epistles. His last word was concerning his beloved brother Paul, whose epistles Peter read, 2 Peter 3:15-16. Surely Peter came to understand, as you and I should, in the reading of Paul’s epistles, that Paul was Christ’s apostle to the Body of Christ and FINAL HUMAN AUTHORITY by whom truth concerning the Body of Christ was given. The Apostle Paul never worked under Peter’s keys. Galatians 1:12, and Galatians 1:17-23; Galatians 2:2. And anyone who will carefully read the New Testament Scriptures will be assured that the Apostle Peter was NEVER a Roman Pope, that he NEVER forgave sins, that he NEVER prayed to Mary, that he NEVER preached Purgatory, that he was NEVER a Christian priest, that he NEVER had a building called a cathedral, that he NEVER wore ecclesiastical garments, that he NEVER claimed that bread and wine could be actually turned into the body and blood of Christ; that he NEVER prayed for the dead, that be NEVER had silver and gold, that he was NEVER called “Reverend Peter”, or “Father Peter”. Do a good thing, read his own words for yourself in 1 Peter 5:1-7. First the Question: There is only ONE case of apostolic succession in The Bible. True or False? “AND WE KNOW THAT ALL THINGS WORK TOGETHER FOR GOOD TO THEM THAT LOVE GOD, TO THEM WHO ARE CALLED ACCORDING TO HIS PURPOSE. FOR WHOM HE DID FOREKNOW, HE ALSO DID PREDESTINATE, TO BE CONFORMED TO THE IMAGE OF HIS SON, THAT HE MIGHT BE THE FIRSTBORN AMONG MANY BRETHREN. MOREOVER WHOM HE DID PREDESTINATE, THEM HE ALSO CALLED: AND WHOM HE CALLED, THEM HE ALSO JUSTIFIED: AND WHOM HE JUSTIFIED, THEM HE ALSO GLORIFIED. WHAT SHALL WE THEN SAY TO THESE THINGS? IF GOD BE FOR US WHO CAN BE AGAINST US” ROMANS 8:28-32. Here we note that God had, and has, a purpose. Note the words of Acts 15:18: “Known unto God are all His works from the beginning of the world.” Surely if God is omniscient, He knows all things. God not only knew the end from the beginning, but God had a secret purpose from before the foundation of the world. God has made known the secret of His will. Then all Children of God should diligently search the Scriptures and learn that revealed Divine secret. The sons of men in other ages and generations did not have this wonderful privilege; for God did not choose to disclose His eternal purpose to them, “Whereof I am made a minister, according to the dispensation of God which is given to me for you, to fulfill the word of God; Even the mystery which hath been hid from ages and from generations, but now is made manifest to His saints.” Colossians 1:25-26. Now go to Ephesians 3:5 and Ephesians 3:8, “Which in other ages was NOT made known unto the sons of men, as it is now revealed unto His holy apostles and prophets by the Spirit; UNTO ME, who am less than the least of all saints, is this grace given, that I should preach among the Gentiles, the unsearchable riches of Christ"
God wants all members of The Body of Christ to see this glorious truth NOW and to know the hope of His calling and what are the riches of the glory of His inheritance in the saints. Ephesians 1:17-18. Perhaps you have observed that Children of God who are opposed to the Doctrine of Eternal Security actually HATE the Doctrine of Predestination, for the two truths are inseparably connected. No Child of God should hate the Word of God. And every Child of God who really knows and believes the truth concerning God’s predestinated purpose believes in the eternal security of the believer. We shall come to the fullness of Christ in the unity of faith. There is ONE Faith. Ephesians 4:5. God will permit no Child of God to see this glorious profound truth until that Child of God will receive the truth from the Holy Spirit and the Scriptures, that there is but ONE Body, even as there is but one Head of the Body, that there is ONE baptism (NOT water), for this age, even as there is but one Spirit for this age. Children of God have been blinded by sectarianism and traditions of men and have made very little earnest effort to keep the unity of the Spirit on the basis of the seven-fold unity of Ephesians 4:3-7. Therefore, they could not obey Ephesians 3:9 even if they wanted to! There is also the human responsibility! The LLM RULES Message Series covered the seven fundamental points that the Child of God and member of the Body of Christ needs to know in order to be a more effective Ambassador for Christ in the Ministry of Reconciliation. (2 Cor. 5:18-20; Ephesians 3:2, Ephesians 3:9). The Illustration Charts presented here convey, in images, important aspects of The LLM RULES Message Series. They partner with the Message Series to bring further depth and clarity. Is there the need for this kind of an exhortation? Almighty God, who knows the treachery of the human heart, knows that there IS the need. So, let us ask ourselves: “Am I ashamed? That is, do I fear the consequences for proclaiming the Gospel of Grace of The LORD Jesus Christ, and taking God at His Word?” Well, do you? Down through the centuries many sincere Children of God have spoken this prayer, "Come, Lord Jesus; come quickly" but we, at The Lion and Lamb Ministry have not joined them in this, and will not. Find out why. Should the Child of God today preach what Peter and the Eleven preached to Israel on the day of Pentecost, or what Peter preached eight years later to Cornelius? NO! Should the messenger of the Gospel of the Grace of God be preaching, with the approval of God (that's the key), “repent and be baptized for the remission of sins?” NO! Should Christian Pastors, and Preachers, be preaching to individual Gentiles today what Peter preached to the Nation Israel, in Acts 3:19-26? NO! When God revealed His great mystery, about two thousand years ago, He made it known, that members of the Body of Christ “be no more children, tossed to and fro, and carried about with every wind of doctrine, by the sleight of men.” Ephesians 4:14. God never intended this great truth to be the mysterious mystery, but the enlightening unifying Mystery. In the Mystery, the Ekklesia of the Age of Grace is the fullness of Christ, and one flesh with Christ. Ephesians 1:23, and Ephesians 5:30-32. God, during this Age is making ONE NEW MAN. Ephesians 2:15. God is NOT making three hundred sectarian denominations and the Lord will not permit any man to have the Spirit of wisdom and revelation to understand the Mystery who contends for or sponsors a sectarian denomination! THE KNOWLEDGE OF THE MYSTERY WILL DELIVER MEMBERS OF THE BODY OF CHRIST FROM THE LAST VESTIGE OF JUDAISM AND RELIGION, AND BRING UNITY!!! Question: The joint Body of Christ, was a Mystery UNTIL the revelation was sent down from Heaven by the RISEN Christ to and through the Apostle to the Gentiles, Paul. True or False? The Apostle Peter was intimately associated with the LORD Jesus Christ during all of His public ministry, and just before the Savior ascended to Heaven, Peter’s last question was, “Wilt thou at this time restore the kingdom to Israel?” Acts 1:6. Simon Peter had more than a Jewish interest in the restoration of the Kingdom to his nation. He had a selfish interest, or perhaps we should say, a personal interest; for the LORD had plainly told him that in that Kingdom age, he would, be sitting with the other eleven apostles, on twelve thrones, judging the twelve tribes of Israel. Matthew 19:28. Most assuredly Simon Peter is still living and is coming back to this earth to share the earthly glory of Israel’s Messiah. He certainly should have been concerned as to when the Messiah was going to occupy David’s throne and establish his reign of righteousness, peace and glory. When Peter asked the question, “Wilt thou at this time the Kingdom to Israel,” he had not the faintest conception of God’s program to postpone the establishment of that Kingdom until He spent twenty+ centuries visiting the nations and electing a company to constitute the Body of Christ. The revelation of this program came to the Apostles of Christ on the installment plan. It is true that Christ had said to Simon Peter, “Upon this Rock I will build my Church”. Matthew 16:18. BUT concerning the Body of Christ, into which both Jews and Gentiles were to be baptized by ONE Spirit, Peter was wholly ignorant; not only before he received Holy Spirit baptism, but for some years thereafter. The Church, or Body of Christ, was a Mystery UNTIL the revelation was sent down from Heaven by the RISEN Christ to and through the Apostle to the Gentiles, Paul. After the Apostle Peter received the Holy Spirit, who was to guide him into all truth, he preached to the Jews concerning the resurrection of Christ in this language, “Him hath God exalted with His right hand to be a Prince and a Savior, for to give repentance to Israel and forgiveness of sins.” Acts 5:29. We note two facts concerning this message; the first is, that Peter never proposed to forgive their sins; and the second, he had nothing to offer to the Gentiles. Several years before this the Prince and Savior had said to Peter, “Go NOT into the way of the Gentiles.” Matthew 10:5. Peter was still obeying this command, because the risen LORD was not yet ready to open the door to the Gentiles. In Acts 3, we have the record of another message of Peter to Israel, the children of the prophets and the covenants, “Unto you first, God, having raised up His Son Jesus, sent Him to bless you, in turning away every one of you from his (your) iniquities.” Acts 3:25-26. This was a message...for a nation: ISRAEL. They were told in this message to repent and bring Christ back from Heaven to establish His Messianic Kingdom. Acts 3:19-21. The Holy Spirit gave this message though a Spirit filled and Spirit led messenger. This was the message of first importance, a message concerning the Kingdom of Heaven. Already individual Jews had been added to the church. Acts 2:47 And more were to be added to the LORD. Acts 5:14. But the Nation of Israel, itself, was appealed to. 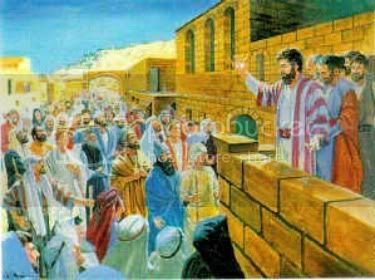 There were at that time in Jerusalem devout Jews from every nation under Heaven; and associated with them were the Temple priests and officials of authority. Acts 2:5. HOWEVER, in all of this, there is still no offer of salvation made to the Gentiles. Someday, in the future, Israel is going to repent and God is going to send the LORD Jesus Christ back to take the throne of David, restore the Kingdom to Israel, and bring about the restitution of all things. Following this national repentance, and the return of Israel’s Messiah to earth, salvation will be sent to the Gentile nations in the Gospel of the Kingdom. The Apostle Peter knew the Old Testament Scriptures as to this program; but he did NOT know that within a few years God would do a new thing and Peter himself would be preaching to a Gentile household; to begin that new thing. It was not lawful for the Apostle Peter to come unto one of another nation, but after his experience with God on the housetop, as recorded in Acts 10, he perceived that God was no longer a respecter of persons, and preached to Cornelius words where by he and his house were to be saved. Acts 10:34, Acts 11:14-15. At first Peter was condemned by the believing Jews for giving this message to the Gentiles SEVEN years after the resurrection of Christ. Acts 11:1-17. But after his detailed explanation of God’s instructions from Heaven, “They held their peace and glorified God, saying, Then hath God also to the Gentiles granted repentance unto life.” Acts 11:18. This was certainly something new for Peter and the other Jewish Christians. Here is the beginning of a new program. “Also to the Gentiles” God was now beginning to visit the Gentiles to take out from them a people for His name before He would restore the Kingdom to Israel. Acts 15:14-18. He was now going to send salvation to the Gentiles to provoke Israel to jealousy. Romans 11:11. God knew all this from the beginning of the world. Acts 15:18. It was HID in God. Ephesians 3:9. It was not made known unto the sons of men, in other ages. Ephesians 3:5. It was HID in God from men. The LORD Jesus Christ did not make known to the Apostle Peter the Mystery among the Gentiles. This was the Apostle Paul’s ministry. Peter preached to the first Gentile family. That was his task. The Apostle Peter was one of the twelve apostles, Paul was not. Peter and the eleven remained at Jerusalem. Acts 8:1. The Book of Acts covered a period of thirty years from the resurrection of Christ until the Apostle Paul pronounced God’s judgment of blindness upon Israel. Acts 28:25-27. To Paul, the LORD said, “Get thee out of Jerusalem.” Acts 22:18. He kept Peter IN Jerusalem. The RISEN Christ said to Paul, “I will send thee far hence unto the Gentiles”. Acts 22:21. The Gospel of the Circumcision (the Jew) was committed to the Apostle Peter. Galatians 2:9. Peter agreed with Paul that Paul should go to the Gentiles and Peter would go to the Jews. Galatians 2:9. In this early history, the Book of Acts, we have no record that Peter preached to anyone outside of the land of the Jews. We have no record that he preached to any Gentiles other than the household of Cornelius. We DO have the record that he was sent to the Jews. We have no record in Acts that any of the eleven apostles, associated with Peter, preached to a single Gentile. They all remained at Jerusalem until AFTER the “Body” truth was revealed to the Apostle Paul. When Peter preached on the day of Pentecost, there were present some visiting Jews from Rome. Acts 2:10. But Peter never went to Rome. It was the Apostle Paul who wrote to the Romans, and later visited Rome; where he died. Paul, by no means, preached to the Gentiles at Rome what Peter preached twenty five years before at Jerusalem. The believing Gentiles at Rome were justified without a cause. They received what uncircumcised Abram received without the deeds of The Law, which was the Righteousness of God by Faith. Romans 4:3-11. The true Church of God at Rome in the first century believed in God’s truth in the Epistle to the Romans, BUT, the Roman Catholic Organization has drifted FAR AWAY from the Gospel of Grace contained in that Epistle. PAY ATTENTION: There is only ONE case of apostolic succession in the Bible...Matthias succeeded Judas. Acts 1:21-26. PERIOD!